SHE DIED IN JANUARY, SIX YEARS AGO, BUT SHE'S STILL ALIVE... IN MY HEART. Obituaries never provide background information---so important to a real story so--- I’m writing about my friend, Connie, and sharing valuable details. 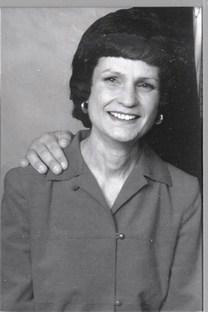 For several years, Connie Bishop lived in Pine Bluff, Arkansas, attended Pine Bluff High School and—if her father’s job hadn’t transferred the family to another state, would have graduated high school with me in 1956. Leading separate lives, moving in different directions yet, Connie and I met again----under almost impossible odds--- in 1989. Moving to Houston to train for my upcoming journey of China’s Great Wall, I was hired by Shell Oil Company to serve as their presenter/speaker to Greater Houston’s United Way. Nothing prepared me for the day I spoke to the executives at Texas Instruments and afterwards, was confronted by a very curious female executive. Of course, each time I was introduced as a speaker, my Miss Arkansas background became part of my story. The female executive asked if I knew the National Businesswomen’s Woman of the Year, Connie Alexander, who had once lived in Arkansas? 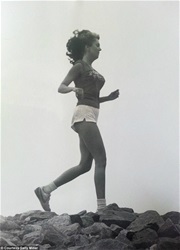 That’s when I learned that Connie Bishop, my dear friend from long ago…now known as Connie Alexander---had an amazing story of turning tragedy into triumph. Two weeks later, I drove to NASA-JSC (National Aeronatic and Space Administration---later, renamed the Johnson Space Center) to have lunch with Connie. She was waiting for me outside her building, looking prettier than I had ever seen her. After we hugged, Connie introduced me to her secretary/scheduler and… to her closest and most trusted friend, Cara, her seeing-eye dog. Connie had not allowed her recent verdict of total blindness to destroy her confidence or her elegance. Over lunch, Connie eagerly questioned me about Pine Bluff and the many people she continued to love and miss-- like her long ago but still memorable boyfriend, George Zack. I told her what little I knew about George’s successful life as an esteemed symphony conductor with the Lexington Symphony. Without hesitating, she made me promise---if I ever saw or talked with George---to tell him she never stopped loving him. After marrying, Connie’s husband was hired by NASA to serve as their Medical Doctor and top Medical Advisor. They lived in a lovely home provided by NASA and enjoyed a privileged lifestyle although Connie continued teaching English at the nearby High School. She stayed busy as a teacher, an active Mother to two young boys, and the Wife of an important and popular doctor. She’d always worn reading glasses but, during the seventies, she noticed that reading was becoming more and more difficult. She remembered the day she was driving home after a regular day of teaching, thinking everything seemed darker than usual, so…. she stopped to visit an eye doctor. That was the day she learned she was legally blind. In fact, the eye doctor was shocked to learn she was still driving and insisted on calling her husband to take her home. That was also the day her husband confessed to being in love with his nurse-assistant and....the day he asked Connie for a divorce. Shortly after the divorce, NASA offered Connie a Counseling Position, even paid her to return to college for an advanced degree in Counseling. They also allowed Connie to continue living (at no cost) in the same house on NASA property. Regardless of the first-rate support system provided by NASA, Connie Bishop had all the qualifications necessary to be a survivor. With or without help, Connie was an incredible female who--when backed against the wall---stood tall and fought back. Except for Cara, her faithful companion, Connie chose to live alone, without assistance. When I asked how she coped with the ongoing darkness, Connie touched my arm, looked into my face and said “Sally, it’s never dark in my world. Everywhere I look …. I'm surrounded by bright colors, beautiful landscapes, handsome and pretty faces. They appear like photos.. all around me. It is constantly happening---and begins with a sound or a voice--- then I see a picture of something or some person. Sometimes, it is a noise, or an activity and--immediately-- like turning on the TV set, I "see" everything that's happening. Nothing I "see" is ugly and everything is in color. Most people will never understand that, In spite of my blindness, I have been blessed with the gift of sight." Distance kept our communications from being convenient but we did talk to each other on several occasions after my journey of The Great Wall. I never stopped admiring Connie’s strength and independence. She made the very best of a personal tragedy and....helped improve the world. I’m a better person for having known Connie. She’s a perfect role model for all of us. CONSTANCE (CONNIE) BISHOP ALEXANDER, 73, passed away on January 13, 2012 at her home in Nassau Bay, TX. Connie was born in Dallas, TX on May 1, 1938. She is survived by her two sons and their families; Craig Alexander & his wife Sherri along with daughters Adrianna & Analise, Curt Alexander & his wife Amy along with sons Luke, Jacob & Blaise. Connie was preceded in death by her parents Lt. Col. Neal & LaJuanda Bishop. Connie lived her early life in Dallas, TX where she graduated from Sunset High School. She obtained her degree in English Studies from North Texas College where she was a proud member of Zeta Tau Alpha sorority. It was at North Texas that she met and married the boys' father Carter. After finishing college they moved to Clear Lake City, TX to join the newly formed space program. Connie's love and first career was that of an educator teaching English at Clear Creek & Clear Lake High Schools. Along the way Connie obtained her Masters degree from Wake Forest University. In 1973 Connie was forced to leave the teaching profession due to the onset of blindness caused by Retinitis Pigmentosa. Connie then began the framework of her 2nd career by obtaining a Masters degree in Clinical Psychology from the University of Houston – Clear Lake. Upon graduation she was employed by NASA-JSC as the administrator of the Employee Assistance program. Connie experienced a 20 year history of helping the individuals and families at JSC . During her career at NASA Connie received numerous awards and accommodations along with serving on the Board of Directors for The Lighthouse for the Blind. But her most prized achievement was being recognized as the National American Business Woman of the Year in 1984. Upon receiving this distinction, Connie travelled the country, motivating individuals with her "Dream Speech" among others. She was also honored by the Texas State legislature in 1985 as it was declared "Connie Alexander Day" at the State Capitol in Austin. Connie was a very special person not only to her friends and family but to all people she met. No one was a stranger and everyone was always welcome. She leaves us with the love of two sons who weathered every storm and are better men for her guidance and inspiration.